Be sure to inspect all string lights before placing them inside or outside your home. Discard any lights with frayed cords, loose connections, or cracked bulbs. Remember to always turn off any holiday lights when you leave the house or before going to bed for the night. It’s best not to connect more than one extension cord together, so instead use a single cord long enough to accomplish your lighting task. Over-stretching a single extension cord or leaving a cord tangled can be a hazard for any home. Try to find the best length and cord for your needs. When purchasing string lights, or any other lighted decoration, look for the certification mark of an accredited organization such as CSA International, UL, or ELT to make sure your products comply with safety standards. Real and artificial trees should be at least 3 feet away from fireplaces, heating vents, lamps, or other heat sources. If you purchased a real tree, be sure to water your tree daily and keep it well hydrated. Trees left to dry out pose a greater fire hazard. Never leave candles burning while asleep or leave them unattended. Keep candles on a stable surface and out of reach of children. Learn more about Candle Safety on Discover. 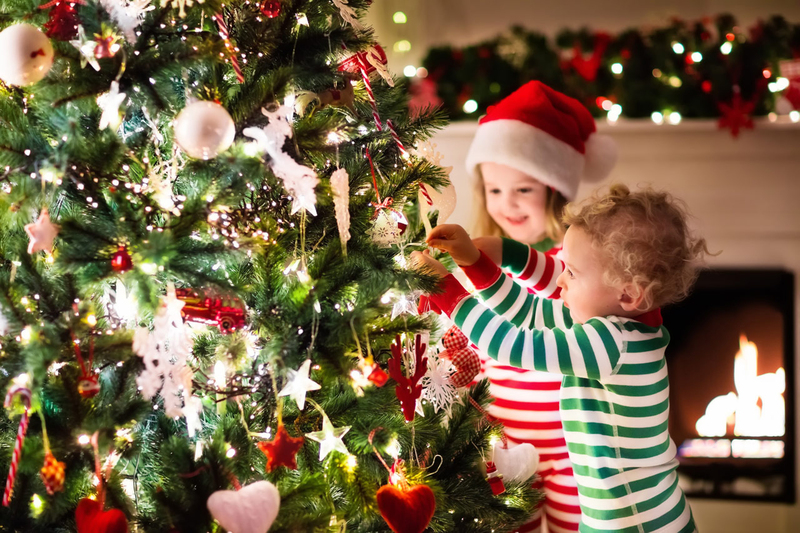 When decorating your trees, keep children and pets in mind. Ornaments that are fragile, breakable, or have metal hooks should be kept towards the top of the tree and out of reach. Keep indoor pathways clear of any decorations, toys, or wrapping paper to avoid tripping and falling. ALE Solutions is your resident expert in temporary housing. Serving you 24/7/365 with live assistance nationwide. For more information, please visit alesolutions.com. We wish you and yours a safe and Happy Holiday!